When we took our first family ski vacation many years ago, we wrestled with whether to bring our gear on the plane or rent at our destination. The idea of trying to wrangle young kids, luggage, skis, and boots through the airport was not at all appealing. And we knew we’d have to spend time renting gear for the kids at the mountain anyway, since they didn’t yet have their own. That was when we stumbled upon what was then a new service: a ski rental company that comes to your condo, hotel, or wherever you’re staying. You provide sizes and details for everyone in the family, and they show up at your door with a van full of everything you need. 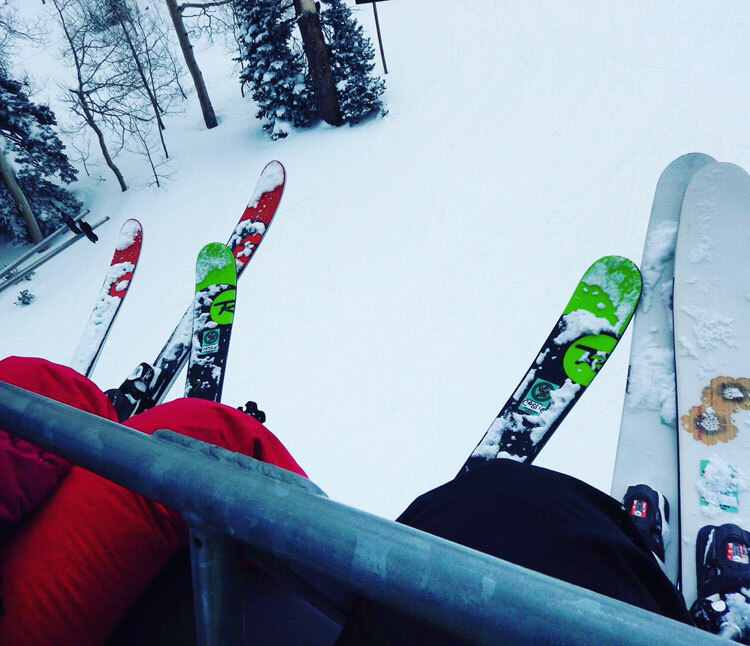 Ski Butlers will deliver your family’s skis and boots right to your door. For a family skiing with young children, it’s basically a miracle. 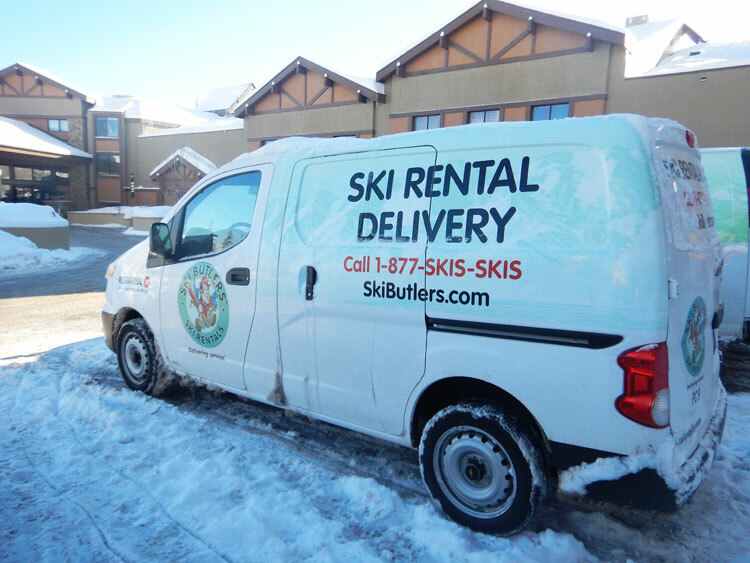 We skied at Copper Mountain, Colorado that year and used Ski Butlers for our ski delivery service. The evening we arrived at our rental home, Ski Butlers came to the door and outfitted my family of four with the perfect skis, boots, and poles. My kids were in pajamas. I finished unpacking while my husband got fitted. No waiting in line at the rental shop. No wasted time or whiny kids. Trying to set up a family in a ski rental shop on a typical weekend – let alone a holiday weekend – can be noisy, crowded, and uncomfortable. With a short window to ski and many other vacationers waiting in line, there’s pressure to move fast. Many ski resorts have improved their rental procedures over the years but on a busy day, the rental shop is still usually a place to be avoided. 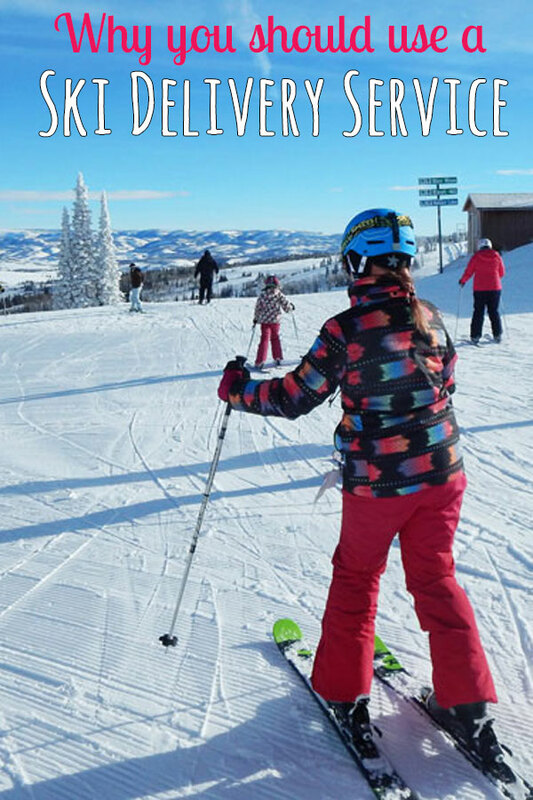 Get your family on the slopes faster and easier with a ski delivery service like Ski Butlers. With a delivery service, simply tell them what time you are arriving at your lodging and they come to you. No other innovation comes closer to turning a hassle into a convenience. The staffers that bring your gear understand how to fit boots, adjust bindings and size the latest skis. They typically carry a variety of skis and boots with them when they come to you, and they are expert at getting you in the right gear. All of our gear fit on the first try, every time. The skis arrived waxed, sharpened and ready to go. And the technicians were knowledgeable, courteous and professional. As an added bonus, they can often give you tips on where to find secret stashes of powder and how to avoid crowds on the mountain! Over the years my family has used several ski delivery services. We’ve had excellent experiences with Ski Butlers, Door­2­Door and Black Tie. 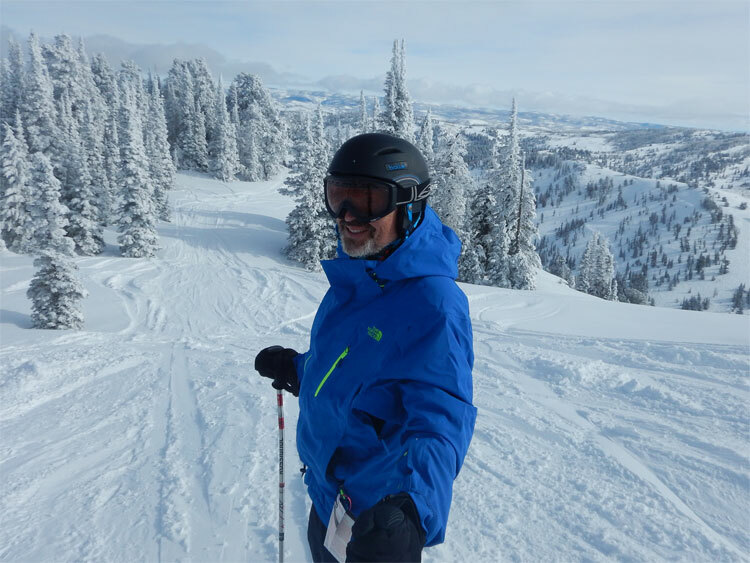 The fact that these companies can all operate successfully in many of the same resort areas testifies to their high level of service and to the immense value that experienced skiers place on convenience. We don’t even think about bringing our skis through the airport anymore. What if your skis or boots are just not right? 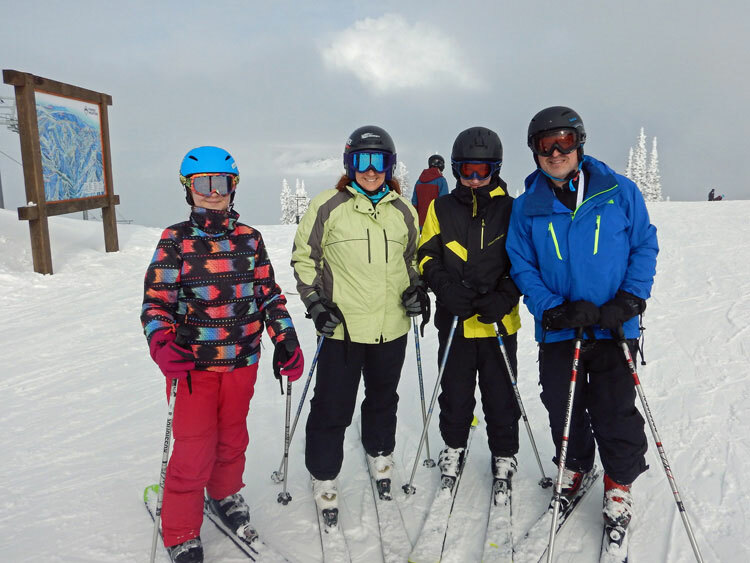 Skiing as a family requires a substantial commitment. It’s not only the financial commitment required to outfit everyone in ski pants, jackets, gloves, skis, boots, poles, helmets, and goggles. It also takes mental and physical fortitude to endure lugging all of this gear to the mountain, putting everything on everyone, then hoping against all hope that nothing hurts and everyone is still happy enough to finally get on the lift. So what happens if something needs to be adjusted? Just call your ski delivery service, and most will come to your location within an hour – even if you’re on the mountain. 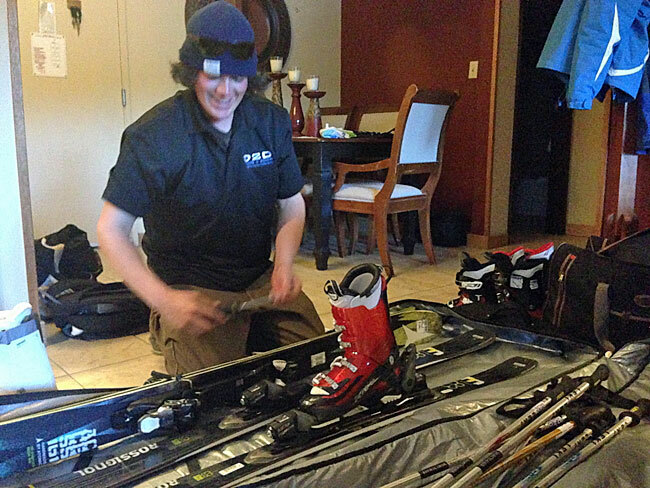 When your kid tells you their boots hurt, a ski delivery service can help you get a quick adjustment. You can also swap out your equipment if the mountain conditions change. Not much snow? Start with a front side carver to rip the groomers. Then when the big storm comes, swap out the carvers for the latest powder skis. One phone call and your new skis will be on their way. No extra charge. There’s one more perk to using a ski delivery service: experimenting with new skis! On one of our vacations, my husband was ready to buy new skis. So he talked with our ski delivery service and was able to try a new ski every day! He wanted to try different lengths and different waists before investing hundreds of dollars on new skis. You can also purchase skis from many ski delivery companies. Got powder? Get the right skis from your ski delivery service. Getting skis delivered directly to your lodging doesn’t cost too much more than renting on the mountain or at a ski shop. And the convenience most certainly makes the entire vacation smoother. After all, your time on the mountain as a family is limited, so why not make it easier to enjoy that precious vacation time together? We’ll be using Ski Butlers again this year when we visit Lake Tahoe. They have locations all over the western USA, as do several of the ski delivery services. 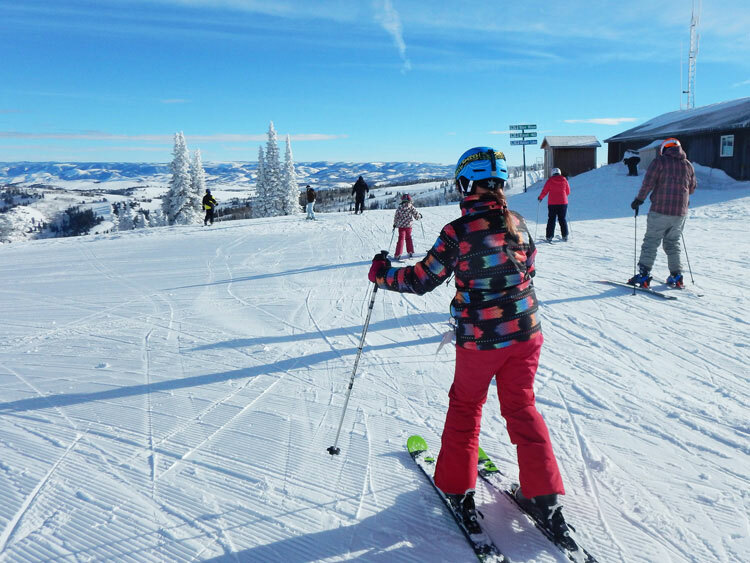 Check them out when planning your next family ski vacation. It’s really a no-brainer.